I’m not the first person to tell you that if you want to build a successful business, you’ve got to create and share valuable content on a regular basis. But we all know that sharing original content consistently is easier said than done. As entrepreneurs, we have SO MANY THINGS to do in a week. That’s why it’s easy to find yourself rushing to put together a blog post you were supposed to publish yesterday. And you may even have times when life gets in the way and you have to ditch your content creation plans for the week altogether. Wish there was a way to make blogging and content creation less stressful while making sure you actually get it done? There is. It’s called batching. Keep reading below to find out how batching helps you create better content faster while saving your sanity. Batching involves grouping similar tasks and tackling them together. It’s what you do when you prep your lunches for an entire week on Sundays or run a series of errands all in one afternoon. First and foremost, batching is beneficial because it saves you time. How? 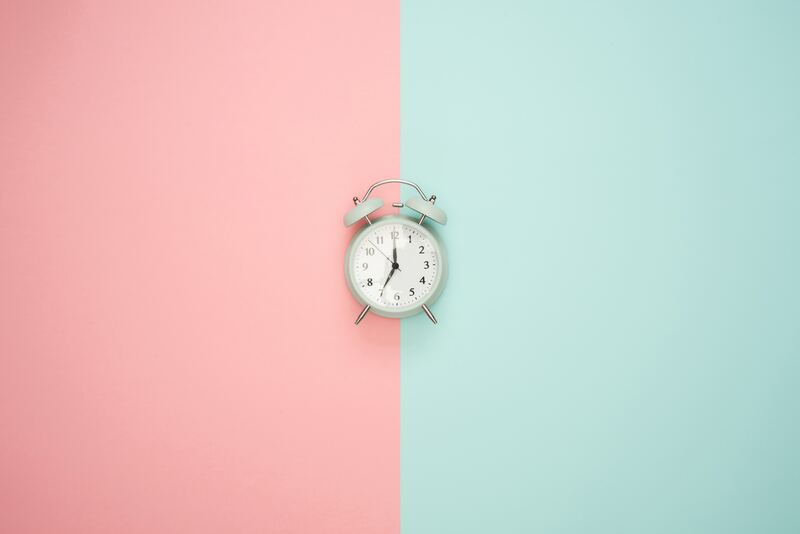 By tackling just one type of task at a time, you can be more productive because you don’t have to switch gears every couple of hours. Instead, you put your brain in outline mode or editing mode for a solid chunk of time and let it do its thing. This helps you focus and make more progress in less time. Because batching helps you create blog posts and other content faster, it leaves more time in your month for other business tasks. Have you been meaning to update your website or work through the social media course you bought 6 months ago? 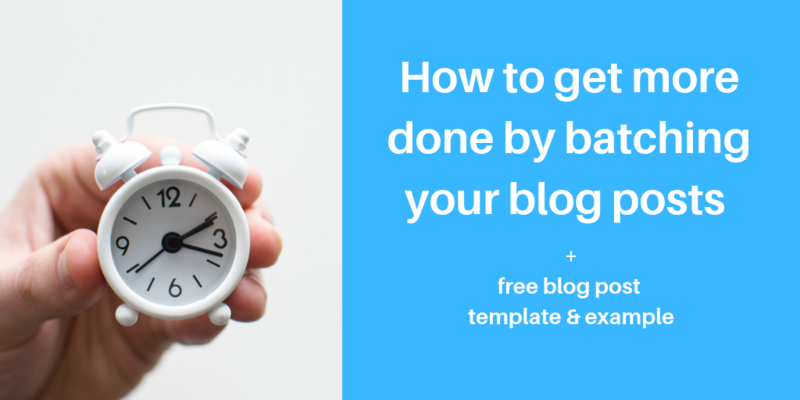 Batching your blog posts can help you finally find the time in your schedule for it. Batching also reduces the stress of blogging and content creation by helping you get everything done in advance. This way, you aren’t rushing to put together a post the day you’re supposed to publish it. It also helps you ensure that if you’re going on vacation or anticipating a major life event (like having a baby), you can continue to share new content consistently. Last but not least, batching helps you create better content. You see, when you craft blog posts in advance, you don’t have to rush to put them together. Rushing doesn’t just skyrocket your stress levels. It also sets you up to create mediocre content. When you batch, you don’t have to rush and you can create better content. But that’s not all, because batching allows you to focus on one type of blogging task at a time, it gives you the space to do each one more effectively. 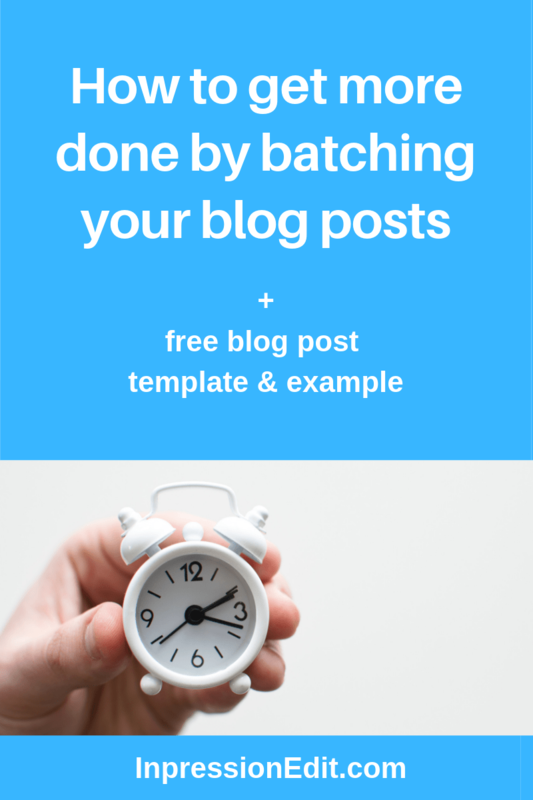 As a result, batching can help you generate better blog post topics, draft stronger posts, and edit them more carefully. The first step to batching blog posts is to generate a topic and keyword phrase for each post you plan to publish this month. Batching comes in particularly handy here because when you plan out a group of topics and keyword phrases in advance, you can order them in a meaningful way. For example, when I published a series of blog posts on content upgrades, I published my post on why content upgrades are beneficial before I published my post on how to make content upgrades. Need some help with these steps? Check out my posts on how to generate blog post topics your audience will love and how to do keyword research for blog posts. Once you’ve selected your topics and keyword phrases, it’s time to conduct research and create your outlines. For each topic you plan to write a post on this month, take a look at existing content on the same topic. 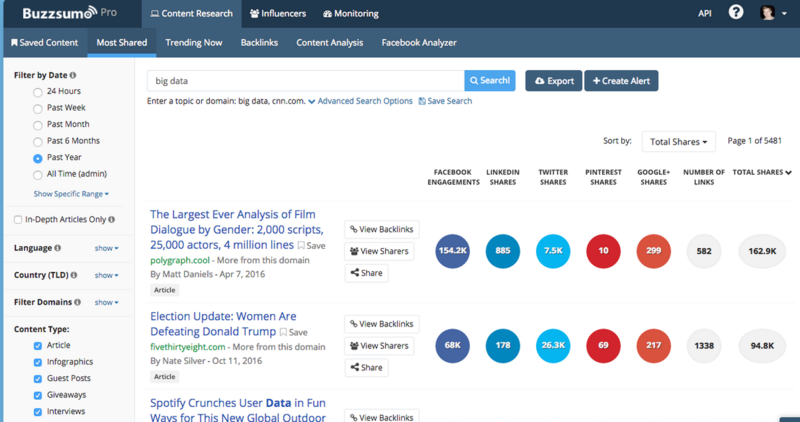 You can find this content by using a tool like BuzzSumo or simply conducting a Google search. When you review existing content, pay attention to what it includes. Does it answer particular questions, provide certain tips, or outline a specific process? If you start to see patterns across a few pieces of content on a topic, you can bet that the information is important to include in your own post or content on the topic. But don’t just include the same information you spot in existing content. Find a way to make your content stronger so that it’s more valuable than what’s already out there. What’s a systematic way to do this? Use the skyscraper technique. After you conduct research on each of your topics, it’s time to create an outline for each blog post. It may seem pointless to create an outline when you could jump straight into drafting your posts. But because outlines help you create a game plan for your posts, they help you write your posts faster. And they make you less likely to ramble and meander (which is always a plus!). What’s the overall goal of my post? What’s the take home message I want my audience to remember? What are the key points my audience needs to know to truly “get” the take home message? Need help structuring your outlines? Check out the example I provided in this post. Now that you’ve created your outlines, it’s time to draft your posts. Remember that this day is about drafting, not editing. So don’t focus on writing pristine sentences right off the bat or editing your writing as you go. This will only slow you down (and probably stress you out). When drafting, your key goal is just to get words down on your page no matter what your sentences look or sound like. Ever heard of “word vomit” or a “brain dump”? This is where it comes in. Having a hard time silencing your inner editor as you draft? Use Write or Die. It’s an online tool that rewards or punishes you based on whether you write enough words within a specific time frame. When you’re focused on racing against the clock, you’ll be less likely to get fixated on clunky sentences or less-than-stellar word choices. Once you’ve drafted your blog posts, it’s time to clean them up by editing them. This doesn’t just mean running spell check on your posts. Instead, you want to read through your posts to search for problems with clarity, flow, repetition, or length. If you can express something more clearly or with fewer words, do it. And if you find a better way of ordering points or notice that you’ve missed something important, now’s the time to make the change. After you’ve edited your posts, add in any search engine optimization (SEO) elements they don’t yet have. For example, make sure you mention your keywords in the right places, have a meta-description, and include images with appropriate alt text. 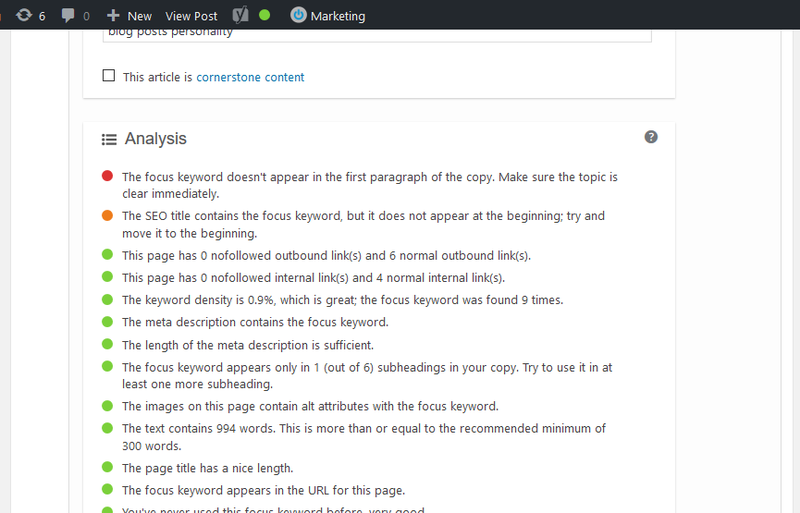 If your blog is on WordPress, grab the free version of the Yoast SEO tool. It makes it easy to identify missing SEO elements and add them to your post. Once you’ve edited and optimized your posts, proofread them. Look for lingering typos and grammar errors. And be sure to check links and fact check stats. In this final batching step, it’s time to put the finishing touches on your blog posts. Specifically, you’ll want to create or source images for your blog posts and for any social media posts you create to promote your blog posts. 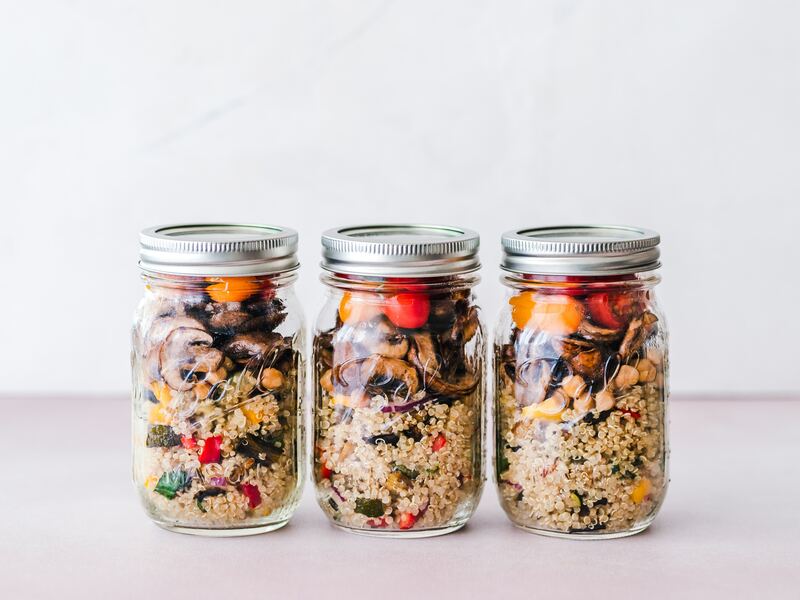 I like to source free images from Unsplash and use Canva to create branded images. In addition to creating images to share on social media, craft any copy you’ll need for these posts. This way, they’ll be all ready to go, just like your blog posts. And last but not least, schedule your blog posts and social media content. I use Buffer to schedule by Facebook and Instagram content and Tailwind to schedule my Pinterest pins. Batching isn’t just another content creating strategy. It’s a way to produce better blog posts in less time so that you have more hours left over to focus on the rest of your business. It also saves you the stress of creating content to promote your business each week. So yes, batching does mean that you have to carve out large blocks of time in your month to brainstorm, draft, and edit. But it also helps you create valuable content for your audience in a way that places fewer demands on your time and sanity. And that’s why it’s totally worth it!